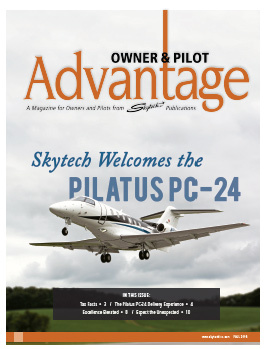 The new Skytech Advantage magazine is now available! This issue features information about the Pilatus PC-24 delivery, post maintenance flights, and more. Click here to read the latest magazine. This entry was posted on Friday, November 9th, 2018 at 10:07 am. Both comments and pings are currently closed.